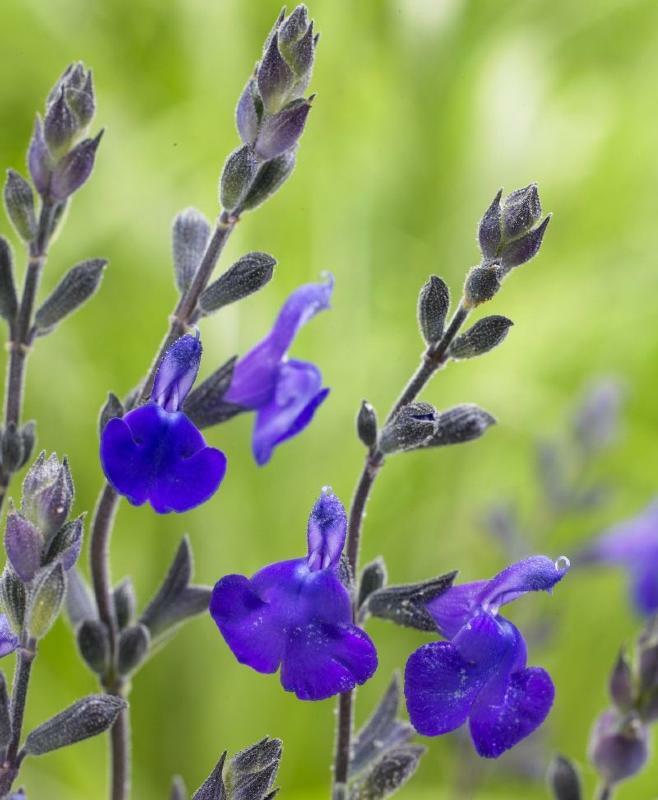 Salvia 'Blue Note' is a small bushy perennial. Has a long flowering period from May- November when it produces deep blue flowers that darken as the season passes. Grows well in full sun in well drained soil. Height 55 cm.